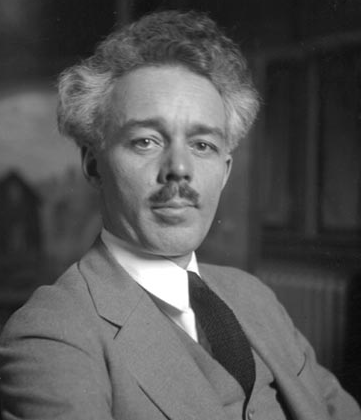 Lawren Harris, (Oct.23, 1885 – Jan. 29, 1970) was a Canadian oil painting artist. He was born in Brantford, Ontario, and is well known as a member of the Group of Seven who pioneered a distinctly Canadian painting style in the early twentieth century. A. Y. Jackson has been quoted as saying that Lawren provided the stimulus for the Group of Seven. 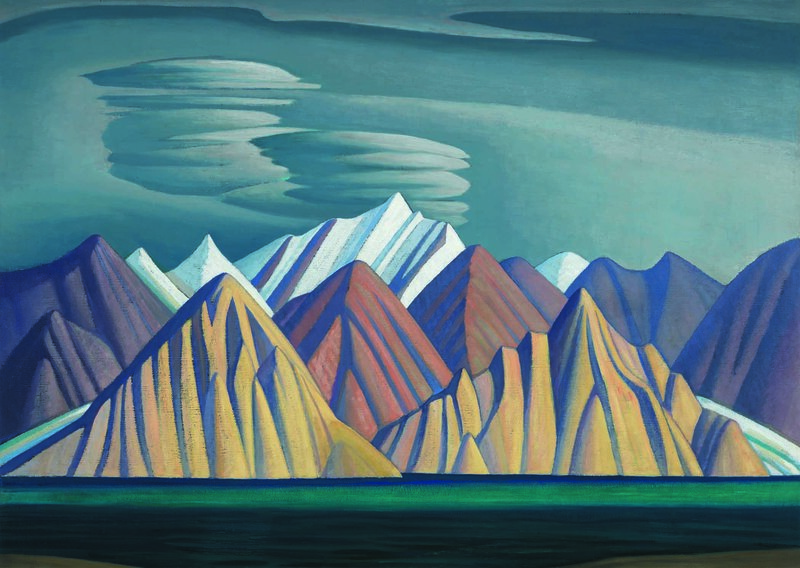 During the 1920s, Lawren Harris's paintings became more abstract and simplified, especially his stark landscape paintings of the Canadian north and Arctic. Lawren also stopped signing and dating his works so that people would judge his works on their own merit and not by the artist or when they were painted. In 1969, he was made a Companion of the Order of Canada. During 1918 and 1919, Lawren financed boxcar trips for the artists of the Group of Seven to the Algoma region, travelling along the Algoma Central Railway and painting in areas such as the Montreal River and Agawa Canyon. In the fall of 1921, Lawren ventured beyond Algoma to Lake Superior's North Shore, where he would return annually for the next seven years. 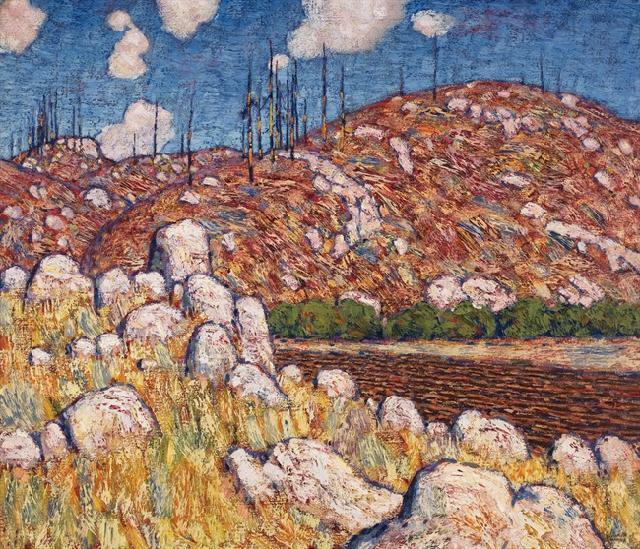 While his Algoma and urban paintings of the late 1910s and early 1920s were characterized by rich, bright colours and decorative composition motifs, the discovery of Lake Superior subject material catalyzed a transition to a more austere, simplified style, with limited palettes - often jewel colours with a range of neutral tones. In 1924, a sketching trip with A.Y. Jackson to Jasper National Park in the Canadian Rockies marked the beginning of Lawren's mountain subjects, which he continued to explore with annual sketching trips until 1929, exploring areas around Banff National Park, Yoho National Park and Mount Robson Provincial Park. In 1930, Lawren went on his last extended sketching trip, travelling to the Arctic aboard the supply ship SS. Beothic for two months, during which time he completed over 50 sketches. The resulting Arctic canvases that he developed from the oil panels marked the end of his landscape painting period, and from 1935 on, Lawren enthusiastically embraced abstract oil painting. 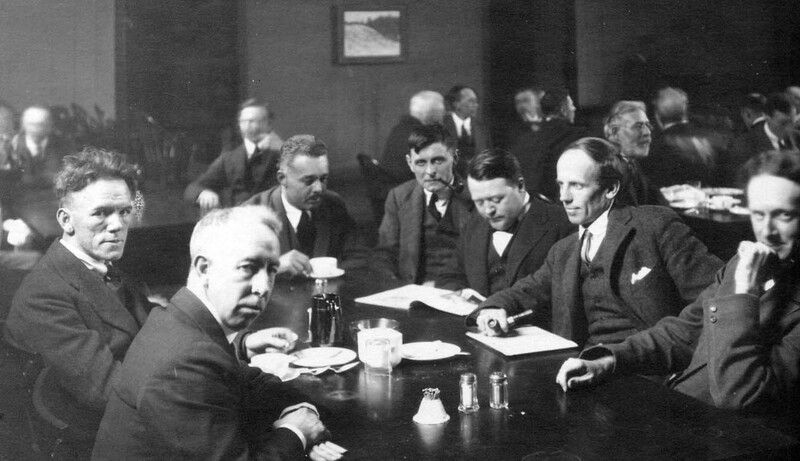 Several members of the Group of Seven later became members of the Canadian Group of Painters including Lawren Harris, A. J. Casson, Arthur Lismer, A. Y. Jackson, and Franklin Carmichael. 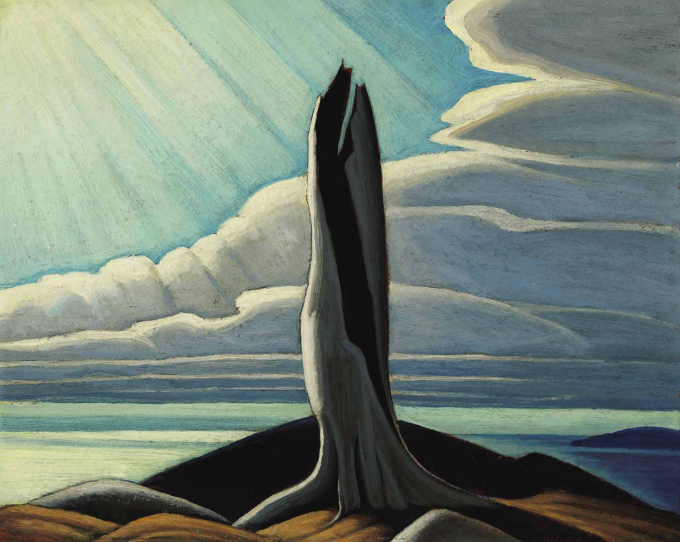 Tags: Canadian Artist Lawren Harris, Group of Seven Art Paintings, Lawren Harris Paintings.